The Asus MeMo Pad HD 7 comes with a brilliant 1280 x 800 resolution (216 pixels per inch) HD IPS Display with 170-degree wide viewing angles. These features make the MeMo Pad HD 7 a wonderful media player for watchng movies. However, the same as other tablets, DVD is not supported by Asus MeMo Pad HD 7. In fact, it is easy to get movies on DVD into Asus MeMo Pad HD 7 as long as you got a DVD Ripper in hand. This article will tell you how to convert DVD to Asus MeMo Pad HD 7 playable video formats so that you can enjoy your favorite DVD movies on the go. To do the DVD to Asus MeMo Pad HD 7 conversion easily and quickly, here EaseFab DVD Ripper is highly recommended. This program features high efficiency and seamless conversion. With it, you can effortlessly rip DVD to Asus MeMo Pad HD 7 supported video format with fast speed and excellent output quality. In addition, this DVD ripping tool can also convert DVD to various popular video formats like AVI, MP4, WMV, MPEG, MOV, FLV, MKV, 3GP, etc. as well as rip DVD to optimized video for playback on iPad, iPod, iPhone, Zune, Creative Zen, Archos, iRiver, Blackberry, Xbox 360 and more. If you're a Mac user, you can turn to EaseFab DVD Ripper for Mac (macOS Mojave included), which has the same function as the Windows version. Now download the right version and follow the tips below to finish your task. Ripping DVD to Asus MeMo Pad HD 7 with EaseFab DVD Ripper is simple as ABC. After downloading, follow the wizard to install and run the program. 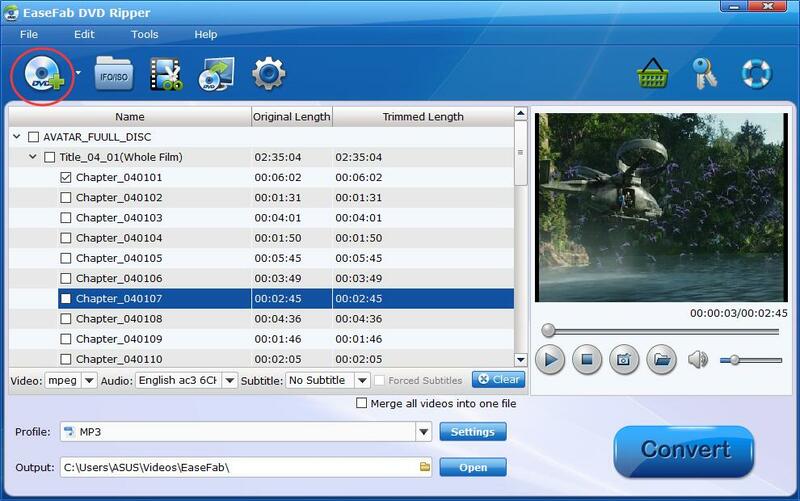 Then follow the steps below to rip DVD to MeMo Pad HD 7 playable videos in a few clicks! The below guide takes DVD Ripper for Windows (Windows 10/8/8.1 compatible) screenshots for example. Download and intsall the DVD Ripper in your computer. Lauch the program after successfully intsalling. Insert a DVD disc that contains the movie you want to rip into your computer DVD drive. Click the Load DVD button to choose and import DVD movies from your computer's hard drive to the program. 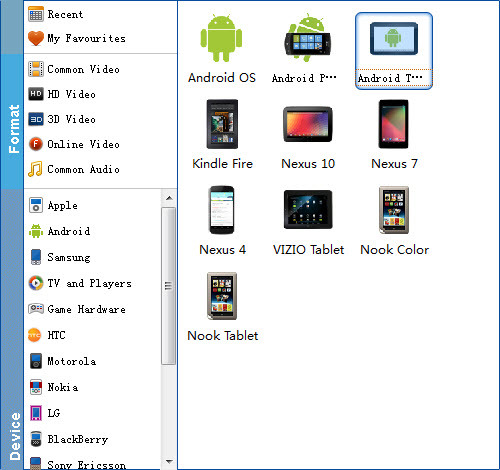 Click "Profile" and select "Android Tablet" from "Android" category. The output videos could be played on Asus MeMo Pad HD 7 with high quality. When all is OK, click "Convert" to rip DVD to Asus MeMo Pad HD 7. After the ripping, you can click "Open Folder" to locate the converted MP4 video files and just transfer them to your MeMo Pad HD 7 for watching on the go!